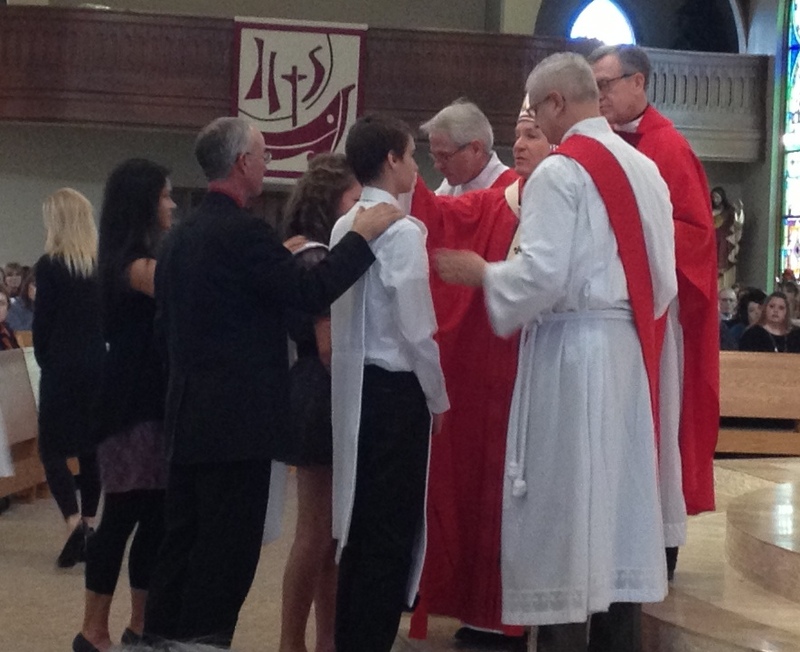 Today my nephew, Oliver, was confirmed by Archbishop George Lucas. Oliver was joined by sixty-two other candidates at St. Patrick’s Church in Gretna to receive this very special sacrament. Oliver chose Steve to be his sponsor. The role of the sponsor is to be a witness to the candidate of what it means to live a Catholic life. Candidates also choose a saint name. I was pleased to see one of my favorite saints, Joan of Arc, chosen by one candidate. It doesn’t seem that long ago that we had a discussion about who Oliver would choose for a patron saint. Back in September several members from my side of the family met in Grand Island for my mom’s 75th birthday. As the day drew to a close we were sitting in the kitchen planning some family events like high school graduations. Oliver’s confirmation date was brought up and I casually asked him who he had chosen to be his patron saint. Oliver wasn’t sure so I suggested Jose Sanchez Del Rio. Blessed Jose’s story recently became more well known since the release of the film “For Greater Glory.” In the movie, Blessed Jose grows in his own faith through the witness of his parents and a priest. This young boy became a witness for others of faith as he experienced torture and eventually death because of his faith. Since Oliver seemed interested in Blessed Jose’s story we whipped out our iPhones to search for more information about his life and death. I won’t share much hear as I would prefer you do some research or watch the movie yourself! 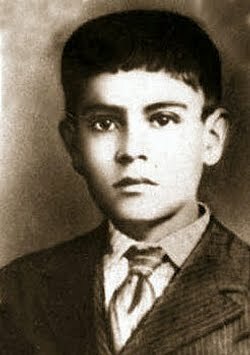 Eventually Oliver chose Blessed Jose Sanchez Del Rio for his patron saint. I hope that Oliver never has to go to that extreme for his faith but I do pray that he be a witness to the faith that has been handed down to him. I am grateful for the witness of Blessed Jose, St. Joan of Arc and St. Stephen. I could go on and on with a litany of saints as the Church is full of amazing holy men and women! I have been thinking a lot lately about the role of being a witness, maybe because I help to prepare students for confirmation. Maybe it is because I see thousands of teens getting ready this week to go to Washington D.C. to promote rights for the unborn. Or maybe I am seeing another witness role evolving in my life that parallels that of my faith. This parallel role involves my full-time job in agriculture. More of us in agriculture are called to be a witness to what we do on our farms and ranches because for a long time we just went quietly about our work hoping to make enough one year to be able to go back at it the next. As fewer people and more technology became the norm in production agriculture we suddenly found ourselves having to defend our practices. Much like the life of faith we have to keep sharing our story. In my life of faith and farming it gives me courage to know that what God requires of me is “to do justice, to love kindness and to walk humbly” with my God (Micah 6:8).